The Finesse Foulard Black Outdoor Rug is Machine Woven in 100% Olefin, and manufactured in France. These all weather outdoor rugs are perfect for porch and patio thanks to a water, mold and mildew resistant construction. Truly versatile, this rug can be used indoors or outdoors on porches, verandas or in any busy area of the house or office. 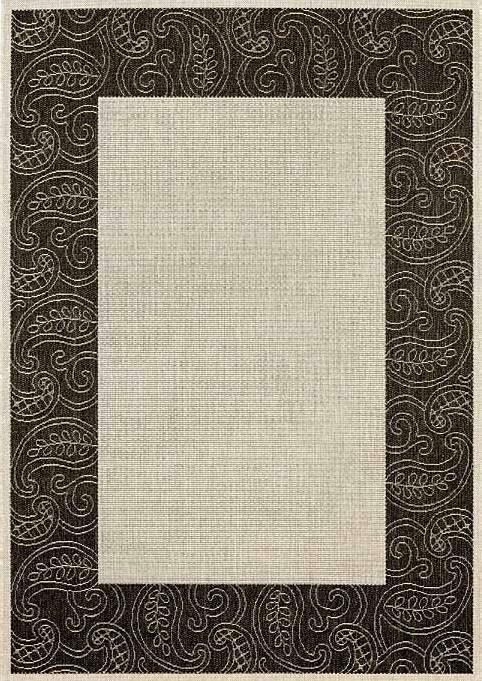 This rug measures 3ft 11in by 5ft 6in. Spills wipe away with damp cloth and warm water.